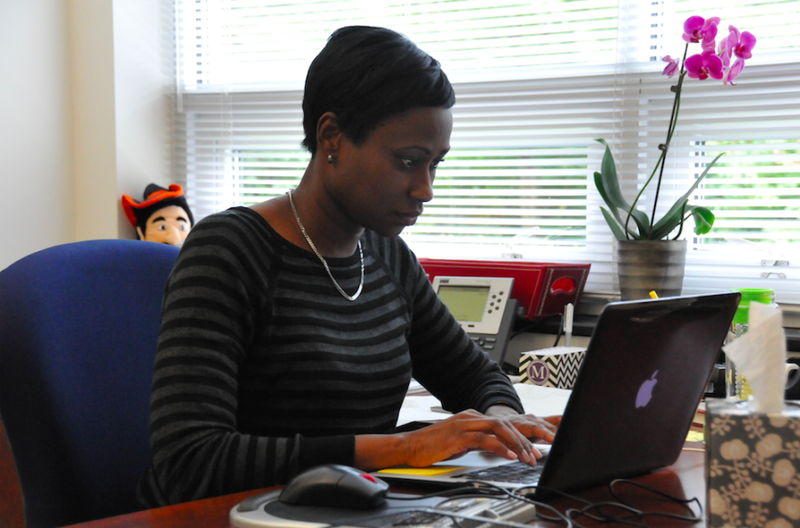 Mia Burton, Director of Diversity and Inclusion, replies to emails in her office. As Huskies return for an exciting new year, Mia Burton, Flint Hill’s new Director of Diversity and Inclusion, is here to promote acceptance. 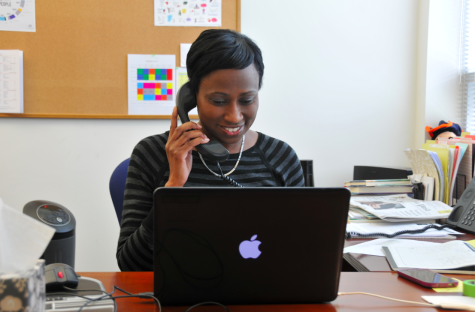 Burton had already been an avid supporter of our diverse student body even before her arrival to Flint Hill’s Upper School last year, when she served as Dean of Student Affairs. Burton already has experience in raising awareness for diversity after last year’s discussions on the impact of microaggressions. Seniors Misha Wooden and Caira Blackwell co-coordinated the F-Day event. Mia Burton, the new Director of Diversity and Inclusion, answers a phone call. Flint Hill is especially trying to encourage acceptance outside of race, something that Burton felt was the misguided focus of diversity. Whether she is organizing assemblies, guest speakers, or other cultural events, Burton will be a driving force not only in raising awareness about diversity, but celebrating it.